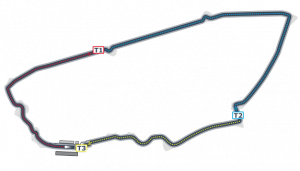 The GT3 and LMP3 cars will be on the track of the 13.6km Circuit des 24 Heures du Mans in front of 250,000 spectators on the morning of the greatest endurance race in the world, the famous 24 Heures du Mans. Besides the increased number of entries the main innovation for the second staging is the organisation of a second race, which gives the drivers an additional opportunity to race on the big Le Mans 24-Hours circuit. Thus the second round of the Michelin Le Mans Cup will be made of two 55 minutes races.